Gov. Andrew Cuomo urged residents to prep for the possibility of Hurricane Joaquin heading to New York, in a statement issued on Wednesday. The National Hurricane Center’s computer models show an increased possibility of Hurricane Joaquin hitting the East Coast of the U.S. on Sunday, then edging up to New York on Monday. Still, other models predict different trajectories. A European model has the hurricane headed harmlessly out to sea, the Brooklyn Eagle reports. John Melville, Commissioner of the state Division of Homeland Security and Emergency Services said residents should take preparation seriously. “Having emergency supplies on hand such as flashlights and batteries, and water and canned goods is essential. Residents should begin monitoring weather conditions through local media reports and broadcasts, and be sure to follow any protective orders issued by emergency officials,” he said in a statement. Even more telling, Ms. Levi's seventh-grade science class informs us that Joaquim is now a Category 2 hurricane . . . The National Hurricane Center predicts that tropical storm Joaquin will be a hurricane by midday Wednesday. The storm is expected to head for the Bahamas, then swing to the west as it heads north. Beyond that the models are still fuzzy. Weather master Jeff Masters of the Weather Underground points out: "During its slow westward trek, Joaquin will be passing over ocean temperatures near 30°C (86°F)--the warmest seen there since record keeping began in 1880." More heat (in conjunction with low wind shear and higher humidity) is associated with "more rapid intensification rates," Masters says. On top of this, an" unusually intense heavy-rain event" is striking the area. 1 TO 2 INCHES OF RAIN ARE LIKELY TONIGHT INTO WEDNESDAY MORNING...PRESENTING A THREAT FOR MINOR URBAN AND POOR DRAINAGE FLOODING. LOCALIZED AMOUNTS IN EXCESS OF 3 INCHES ARE POSSIBLE...PRESENT A LOCALIZED FLASH FLOOD THREAT. 1 TO 2 INCHES OF RAIN ARE LIKELY INTO WEDNESDAY MORNING...PRESENTING A THREAT FOR MINOR URBAN AND POOR DRAINAGE FLOODING. LOCALIZED AMOUNTS IN EXCESS OF 3 INCHES ARE POSSIBLE...PRESENT A LOCALIZED FLASH FLOOD THREAT. ADDITIONAL ROUNDS OF HEAVY RAIN ARE POSSIBLE LATE THIS WEEK THROUGH THIS WEEKEND WHICH COULD BRING ADDITIONAL FLOODING CONCERNS. 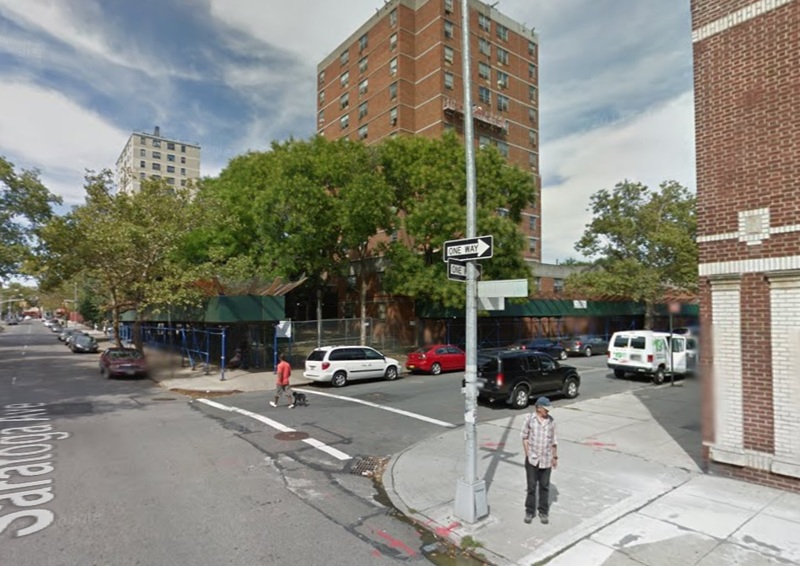 Cops are searching early Wednesday morning for seven black males reported to have a firearm at Myrtle Ave. near Throop (near the Sumner Houses) in Bedford Stuyvesant. One male is reported wearing a green hoodie and black pants. The group was last reported at 2:08 a.m. walking towards Throop. VIDEO: Courtesy of Thirteen’s “The City Concealed." For one day only, Green-Wood will open many of its most impressive and elaborate mausoleums for public perusal. You will be able to peek inside massive stone slabs and elaborate iron-wrought doors as you step inside stunning examples of Green-Wood’s distinct architecture. Greenwood in a release says this self-guided tour on Sunday, Oct. 4 from noon to 6 p.m. will include the Egyptian Revival tomb of John Taylor Johnston, an early president of the Metropolitan Museum of Art; the ornately tiled ceiling of the Hoagland mausoleum – home to a Baking Powder empire; the imposing mausoleum of the Dewey’s, a family of early American settlers; and several more. 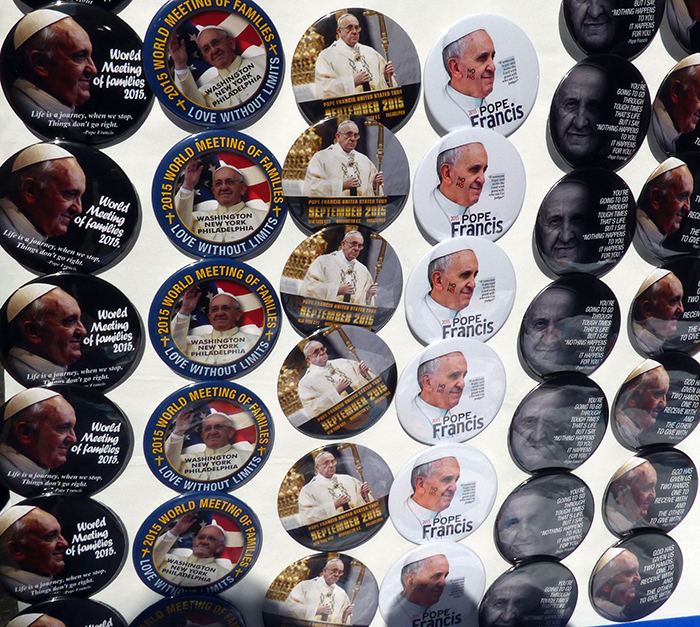 In total, fourteen mausoleums will be open plus the rarely-opened Catacombs. At each stop, “house” docents will explain family histories, and historic items, blueprints, and papers will further illuminate the lives of these residents. Bring your sneakers and walk the route at your leisure, or use the Green-Wood trolley for “hop on, hop off” service between each site. A handy map, provided at the main entrance, will mark the locations of each open house. Don’t miss one of Green-Wood’s most popular events! This event is $20; $15 for members of the Green-Wood Historic Fund and members of the Brooklyn Historical Society. Reservations are recommended. 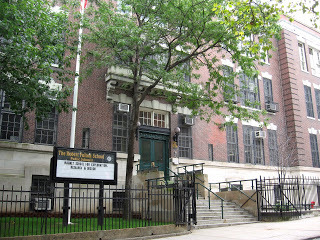 To make an online reservation or to find out more information, visit www.green-wood.com/toursevents or call 718-210-3080. Brooklyn Borough President Eric Adams was the host of the Chinese Autumn Moon Festival at Brooklyn Bridge Park on Saturday. The annual festival gives thanks for the mid-autumn harvest of rice and wheat. The event included cultural performances, booths, a children’s lantern parade, and traditional food, including moon cakes and a whole roasted pig, which was given the ceremonial first chop by BP Adams. The event brought Chinese and Americans together for a nice day out. Aww. The lion has a soft side for kids. What's this? A giant Mickey, Minnie and Panda join the lion dancers. There were booths with games and activities, like his photo booth. Cops are searching for two people reported to be walking in the Brooklyn-bound traffic lanes on the very crowded Brooklyn Bridge. The initial call came in at 12:15 a.m. Saturday morning. Another call came in at roughly 12:45 a.m. Police cars can be seen on the bridge. From the scanner: A Level 1 mobilization has been declared after two shots were reported fired at 456 DeKalb Ave. in Brooklyn shortly before midnight Friday night. According to one report, two people were transported to Methodist Hospital in Park Slope just after midnight, and it was police who fired the shots. Reports were conflicting, however. According to another report, there were no injuries. 456 DeKalb, near Classon, is part of the Lafayette Gardens housing development, a half block from Pratt Institute in Clinton Hill/ Bed-Stuy. 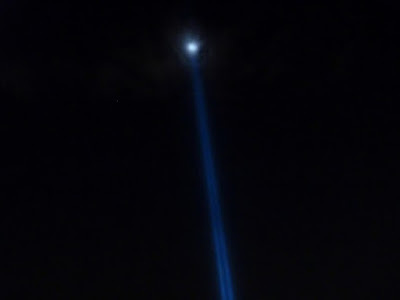 UPDATE 12:25 a.m. Saturday: NYPD's 88th Precinct has requested a hospital canvass for a male shot. UPDATE 12:30 a.m. Saturday: NYPD is searching near DeKalb for a male black wearing a yellow shirt and a goatee. UPDATE 12:45 a.m. Uniformed officers have been sent to every floor at 456 DeKalb. UPDATE: The Daily News reports that cops had opened fire on a man who pulled a gun on them as they patrolled the housing project stairwell. 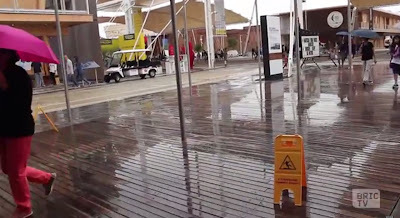 A video produced by BRIC TV looks into how discarded wood planks from the Coney Island Boardwalk, supposedly destroyed by Superstorm Sandy, ended up as a "beautifully restored indoor walkway at this year’s World’s Fair in Milan, ­Italy," reports Sheepshead Bites. How Did Discarded Wood From The Riegelmann Boardwalk End Up In An Italian Art Fair? 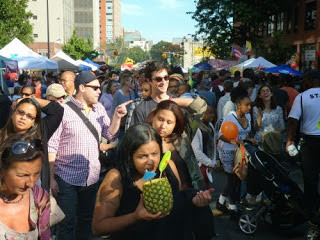 - The humongous 41st Annual Atlantic Antic Festival is taking place this Sunday. - The Craft beverage festival CHEERS NY (plus Brooklyn Eats Marketplace) is coming to Industry City in October. [Brownstoner] and [Brooklyn Eagle]. - A fundraiser for Bernie Sanders' 2016 Presidential Campaign -- "Berning Up Brooklyn" -- is coming up Oct. 8. 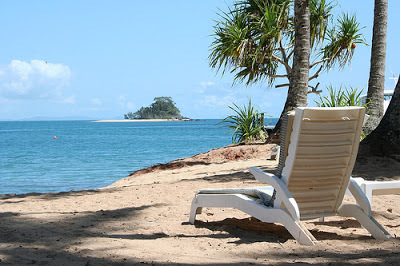 Thank goodness we're back to civilization! All that sunshine and clean air was killing us. - The Brooklyn Book Festival!! If you missed it, too, here's the Brooklyn Eagle's wrap-up, including photos of authors both famous and not yet established. 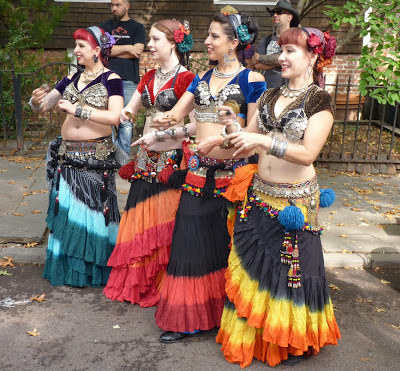 - The Cranberry Street Fair in Brooklyn Heights. If it's any consolation, NYCspotted published photos. - Brooklyn’s new cat café: Some first im-purr-sions from Brokelyn and Gothamist. - Gothamist covered Brooklyn Bridge Park's annual kite flying festival, which took place in perfect weather. McBrooklyn is ducking out until Tuesday. Enjoy the Brooklyn Book Festival, the Cranberry Street Fair, and all the other goings-on this weekend. 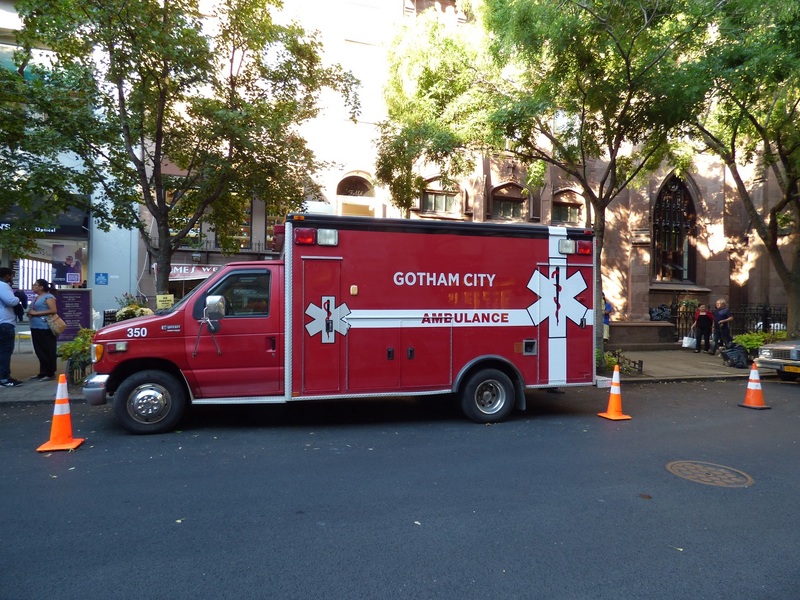 On Wednesday and Thursday, Brooklyn Heights turned into Gotham City as Fox's hit TV show "Gotham" filmed in Brooklyn (again). Gotham City police vehicles and ambulances parked on Montague and Court Streets as filming took place in St. Ann's Church. 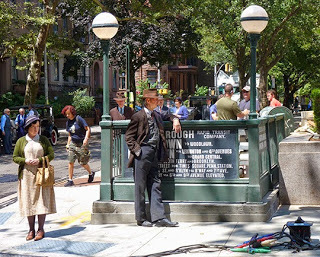 Stars Ben McKenzie (Jim Gordon) and Erin Richards (Barbara Kean Gordon), along with other assorted cast and crew, strolled around Montague Street between takes. Erin Richards (Barbara Kean Gordon) under that curly mop of hair. Trader Joe's is coming to Downtown Brooklyn, just about a mile from its popular location at Atlantic Avenue and Court Street in Cobble Hill. 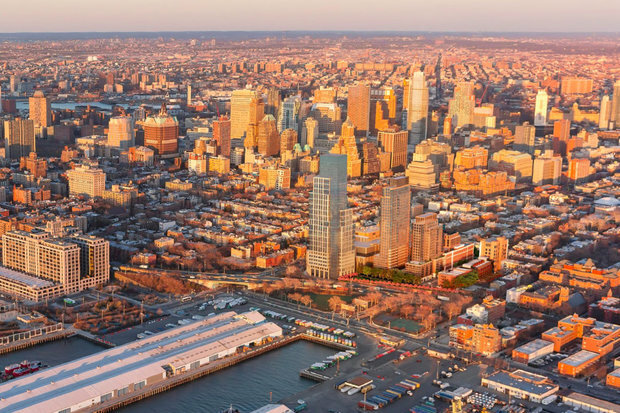 Acadia Realty Trust and Washington Square Partners announced on Wednesday that Trader Joe’s has signed a lease at City Point, located at Fulton Street and Flatbush Avenue. Slated to open its doors to the public in 2016, Trader Joe’s will be located on City Point’s concourse level, according to Real Estate Weekly. 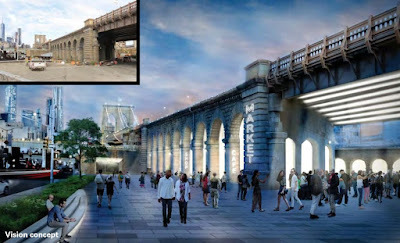 It will be adjacent to DeKalb Market Hall, a 26,000-square-foot food hall offering between 35 to 55 food purveyors. Trader Joe’s, DeKalb Market Hall and the anticipated restaurants "will serve as Brooklyn’s most comprehensive food destination," says REW. The 675,000 square foot retail center's tenants will be anchored by Century 21 Department Store, CityTarget, Alamo Drafthouse Cinema, and the food purveyors. Downtown Brooklyn is one of the fastest-growing neighborhoods in the country, City Point says. 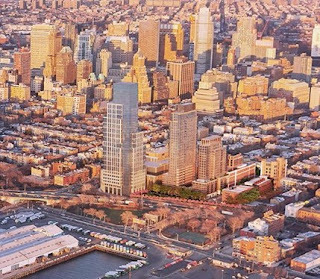 Trader Joe's also plans to open a Williamsburg outpost in Alliance Private Capital’s planned mixed-use development at 206 Kent Avenue, the Commercial Observer reported. 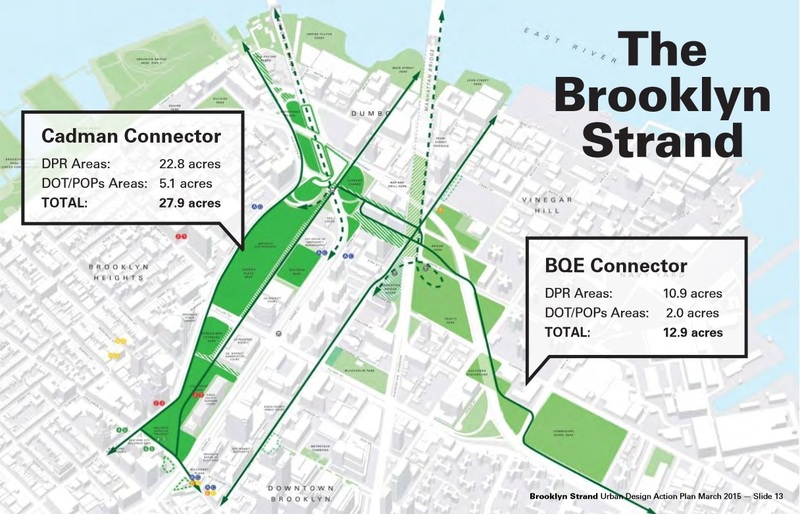 Community Board 2 is hosting a presentation and workshop on the Brooklyn Strand -- which would stretch from Borough Hall to Downtown Brooklyn to Brooklyn Bridge Park -- this Monday, September 21, at 6 p.m. at the Willoughby Senior Center,105 North Portland Avenue, between Park and Myrtle avenues. 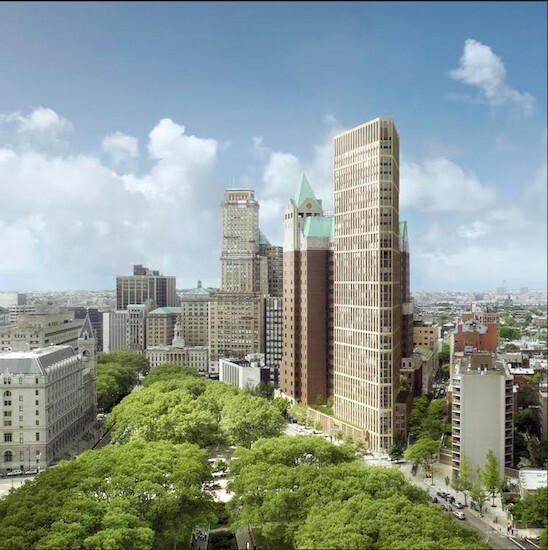 The plan hopes to link green space together in the Strand area and includes a renovated (perhaps more cluttered) Cadman Plaza, more bike lanes and pedestrian walkways, retail spaces, cafes, and plazas. 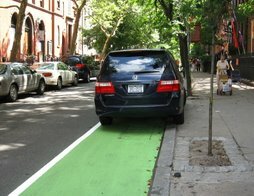 1: Rectify "mistakes of urban renewal"
In some areas there would be more green space, in others green space would be paved for the plazas or cafes. The entire presentation can be viewed here. 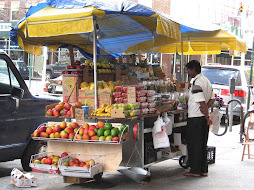 The 41st Annual Atlantic Antic comes back to Brooklyn on Sept. 27, from noon to 6 p.m., rain or shine. The Antic, presented by the Atlantic Avenue Local Development Corporation, is a uniquely Brooklyn street festival, and said to be the biggest in NYC. About a million people show up to enjoy local artisans, musicians, belly dancers and food, food, food -- with 600 vendors and ten live performance stages. Families enjoy pony rides, storytelling, and face painting on a block dedicated to kid-friendly activities. The theme of this year’s Antic is “The Youth Are Our Future.” The AALDC granted scholarships this year to twenty-three local children from low-income families to attend summer programs based in Brooklyn Heights, Boerum Hill, Fort Greene and downtown Brooklyn. Program partners like Mark Morris Dance Company and Brooklyn Ballet will be among the youth groups performing. For the full schedule of performers and other highlights, click here. On Thursday, September 17 at 6:00 p.m. at the corner of Kingston Avenue and Eastern Parkway, Brooklyn Borough President Eric L. Adams, S.O.S. Brooklyn of the Crown Heights Community Mediation Center, elected officials and spiritual leaders, will be holding a Peace Over Violence March. 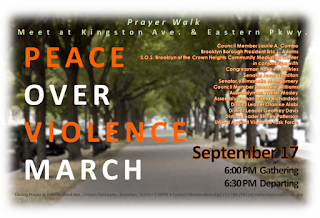 "This is a prayer walk to end violence that takes place in the Crown Heights section of Brooklyn...." said Councilmember Laurie A. Cumbo in a release. "With each step, we will honor those who have lost their lives to gun violence and pray for those whose lives have been forever altered by the loss or injury of a loved one." If you would like to attend a special service or memorial event in Brooklyn today in honor of the almost 3,000 people who lost their lives in the World Trade Center on 9/11/2001, several sources have compiled events. 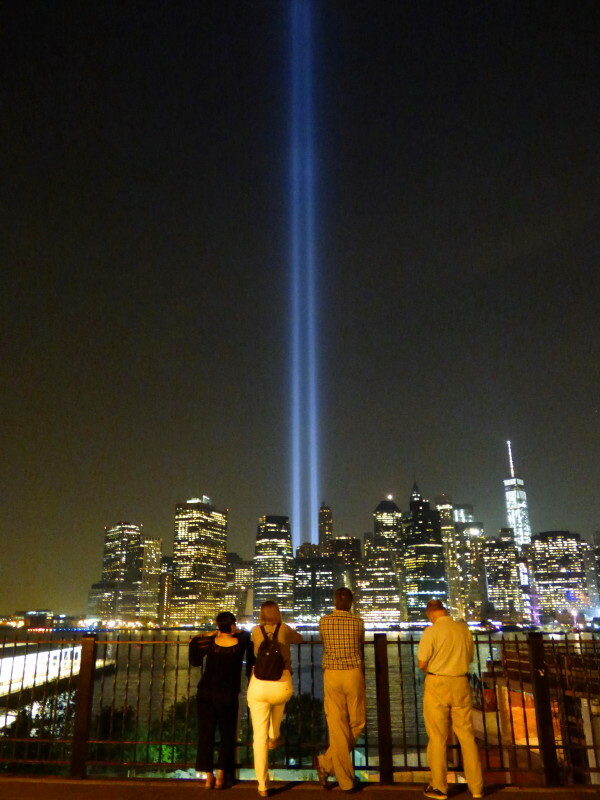 * The Brooklyn Eagle has put together a roundup of interfaith 9/11 remembrance services in Brooklyn Heights. These include Grace Church's annual Sept. 11 Requiem Eucharist on Friday at 7:30 a.m., and Assumption Roman Catholic Church's annual 9-11 Mass of Remembrance for the firemen at the Engine Co. 205/Hook and Ladder 118 firehouse on Middagh Street. The 10:45 a.m. Mass will honor Fr. Judge and the eight firefighters from Engine 205/Hook & Ladder 118: Captain Martin J. Egan, Lt. Robert Wallace, Lt. Robert Regan, Firefighter Vernon Cherry, FF Leon Smith, FF Joseph Agnello, FF Peter Vega and FF Scott Davidson. * Bensonhurst Bean details Senator Marty Golden's two 9/11 memorial events in South Brooklyn, the first one in Marine Park, at 6 p.m. and a second vigil at the American Veterans Memorial Pier at 7:30 p.m. The ceremonies will feature a patriotic program, including a 21-gun salute and a candle lighting vigil. In addition, neighbors have organized an annual candle lighting vigil at 6:30 p.m. at Bill Brown Playground — also known as Bedford Park. * On Friday evening, Bargemusic will present a free Memorial Concert. 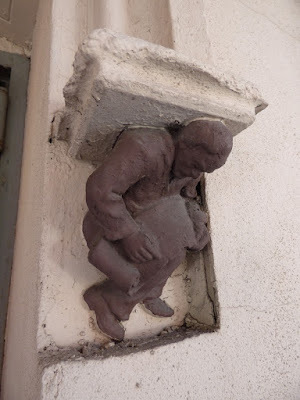 More on this at BHB. Across the city, a moment of silence will be observed at 8:46 a.m., the moment when flight 11 hit the north tower of the World Trade Center. Subway Derailment in Brooklyn Srews Up G Train Service Early Friday A.M.
G line trains are running with delays in both directions. There is no G train service between Church Ave. and Bedford-Nostrand Ave. in both directions. Shuttle Bus Service is available from Bedford-Nostrand Avs. to Church Ave. in both directions. F line service is available at Church Ave. According to abc7, the first car of a southbound G train derailed about 600 feet south of Hoyt-Schermerhorn at about 10:16 p.m. on Thursday. The front two wheels on the first car came off the track. One person was evaluated for a minor issue, possibly a panic attack, abc7 said. According to amNY, however, three people with minor injuries were taken to Brooklyn Hospital. Check MTA for up-to-date info. It's Primary Day today, Sept. 10. 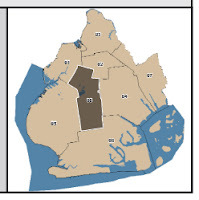 If you live in Brooklyn, Sheepshead Bites has compiled a handy reference list for you. 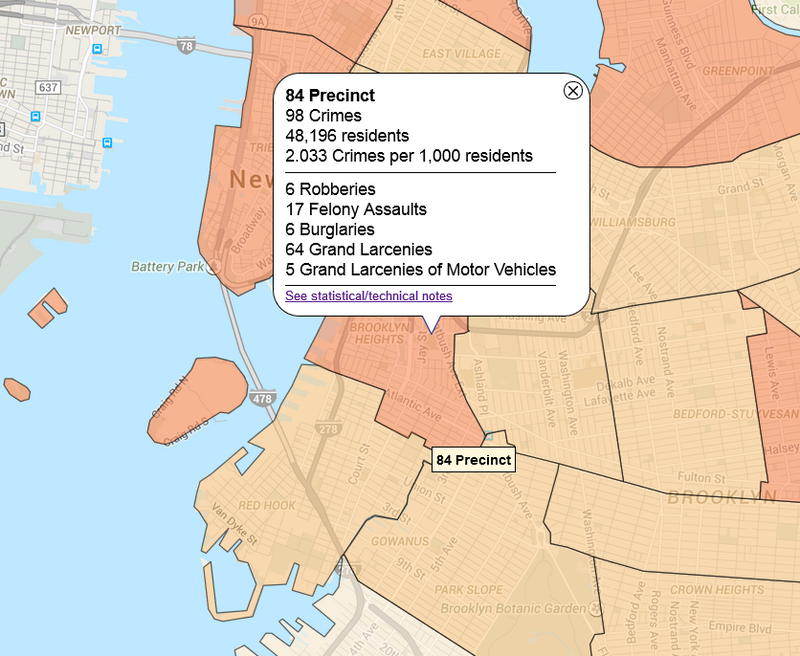 Most of the race will be about filling Republican seats, but there is one Democratic judicial seat open in Brooklyn’s Municipal Court District 6, which includes Ditmas Park, Kensington and parts of South Slope. So if you are one of Brooklyn's rare Republicans, or a Dem who lives in District 6, get out there and vote in the Primary. On Wednesday, Brooklyn Borough President Eric Adams "disapproved with conditions" the development project proposed for the site of the Brooklyn Heights Library at 280 Cadman Plaza West, the Brooklyn Eagle reports. 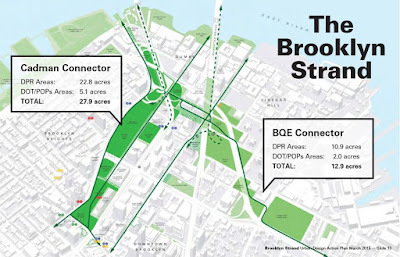 The response was issued following months of hearing from passionate local residents and community activists and a public hearing he held at Brooklyn Borough Hall on August 18. Among other concerns, Adams listed crowded schools, off-site affordable housing, library floor area and more. The Citizens Budget Commission of New York lists 10 subway stations in Brooklyn found to be among the worst in NYC, Brownstoner reports. 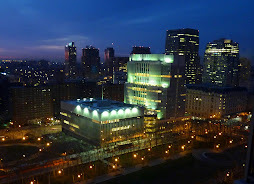 These include the Winthrop Street 5 station, the Prospect Avenue R station, and the Borough Hall station. A station is rated by counting up the number of its structural elements (i.e. stairs, etc.) and noting how many of them and what percentage are in good condition. Most of the stations on the list had more than half of its elements in poor condition. Mayor Bill de Blasio's affordable housing agenda has dropped a big, fat bomb in the middle of the once-quaint neighborhoods of Cobble Hill and Brooklyn Heights, not far from Mayor Bill de Blasio's home in Park Slope. "... His agenda is one agenda and nothing else: income inequality and affordable housing. He doesn’t care about parks or potholes or anything else. 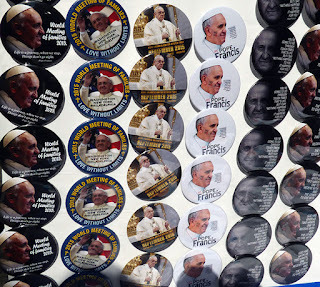 He has two issues [income inequality and affordable housing] and two issues only." "If only Burrough had actually delved into de Blasio's willingness to champion unaffordable affordable housing." From the scanner: A report of shots fired in Bushwick, Brooklyn, came over the scanner at roughly 1:15 a.m. The shots were reported on Saratoga Ave. between Halsey and Broadway, near the New York City Housing Authority's Saratoga Square project. Cops were headed to the scene. At the same time, a call came in for shots fired just a few blocks away, at Bainbridge and Thomas S. Boyland streets. Update: NYC Scanner reports: "1266 Madison St Active Crime scene established in regards to a male & perp shot, Aided in Stable condition." This is roughly 4 blocks north of the Saratoga Ave. location reported above. 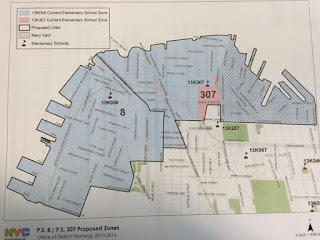 Under a new zoning plan being considered for way-overcrowded P.S 8 in Brooklyn Heights, kids in DUMBO and Vinegar Hill would move to P.S. 307 (in Vinegar Hill). 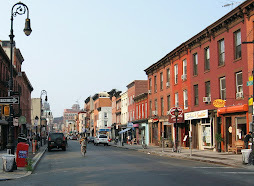 Old Fulton Street would be the rough dividing line. It is expected that the DOE will ask the CEC to vote on the DOE proposal in the fall. More at CEC13. Those working to dump Cobble Hill Association's Acting President Roy Sloane got their wish on Wednesday when he submitted his resignation, the Brooklyn Eagle reports. Sloane had been the subject of a campaign by two dozen Cobble Hill Association dissenters who thought he operated CHA as a "closed club," and who disagreed with his strategy of "engaging in dialogue" with Long Island College Hospital's (LICH) probable developer Fortis. “The issue is about both who will lead the battle to limit development on the LICH site and how it will be conducted,” the dissidents said in a letter last week demanding Sloane’s replacement. Sloane said the engagement process wasn't solely his idea, but was "developed by local elected officials and led by Councilmember Brad Lander." “It’s a new day for the CHA,” one of the dissenters told the Eagle. 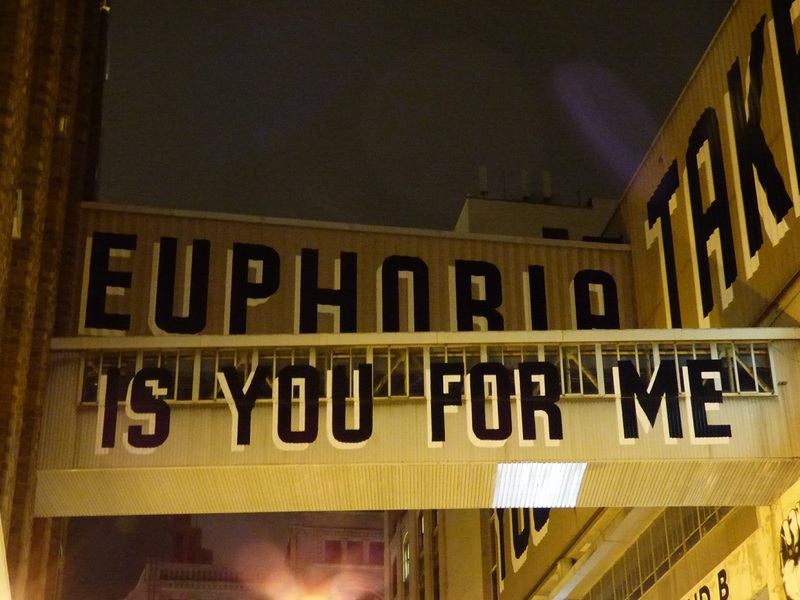 Will fresh blood reinvigorate the fight against LICH's development? Or muddle the process championed by Brad Lander? 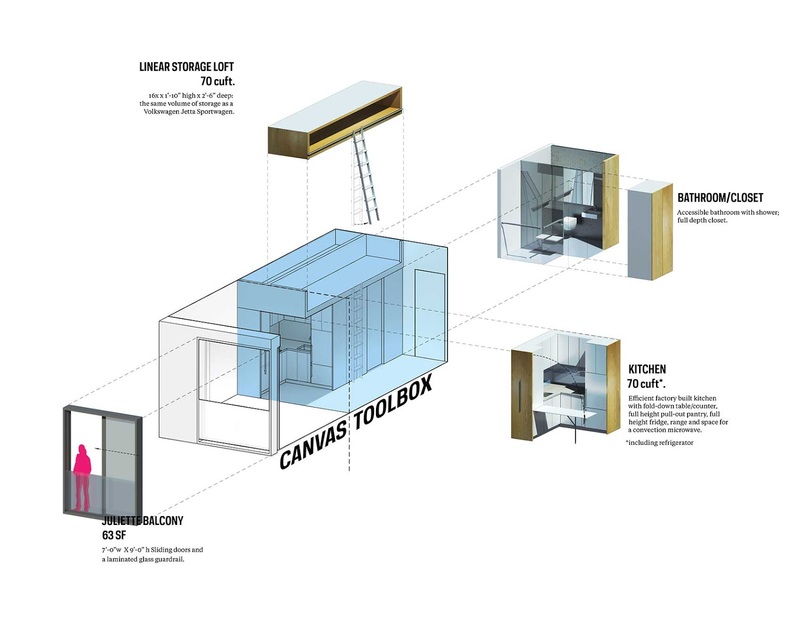 Want to live in a tiny, IKEA mini-showroom-sized apartment? The city's Department of Housing Preservation and Development released the application Tuesday for 14 affordable units designed by nARCHITECTS at the Carmel Place building (also called My Micro NY) at 335 East 27th St. in Manhattan. 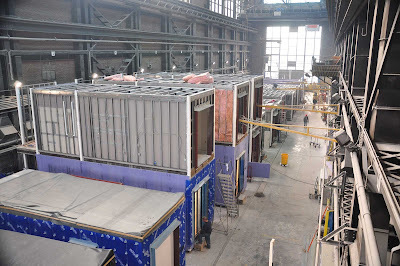 The units are being constructed in a factory at the Brooklyn Navy Yard, above. According to NYC, Carmel Place/ My Micro will include new micro-unit apartments measuring between 260 and 360 square feet -- smaller than allowed by law today. They will have 9’- 6” floor-to-ceiling heights and Juliette balconies. They also feature "ample storage" and compact kitchens with full-height pull-out pantry, full-height refrigerator, range, and space for a microwave. The property will include amenities such as a gym, resident lounge, or outdoor terrace. Other amenities include a "virtual doorman" (? ), laundry facilities, storage room, and bike room. The rents listed online at NYC are: 11 studios at $950/month and 3 studios at $1,492/month. The 11 less expensive apartments are open to households earning an annual income within a range of roughly $34,500 and $48,000 for an individual, or $34,500 and $55,000 for a household of two. The three higher-priced apartments are for households earning an annual income of roughly $53,000 up to $78,60 for an individual, or $53,000 up to $89,800 for a household of two. Rather live in Brooklyn? Applications recently opened for City Point Tower in Downtown Brooklyn. There are apartments here for mostly either very low or oddly high income households, however. NYC's housing lottery list here. A gang of 20 rowdy young men stampeded into a small deli in Brooklyn Heights on Thursday, stuffing loot into their backpacks and pockets and eventually smashing the glass in the door. Cops nabbed four of the suspects about an hour later, while they played basketball at Pier 2 in Brooklyn Bridge Park, the Brooklyn Eagle reports. 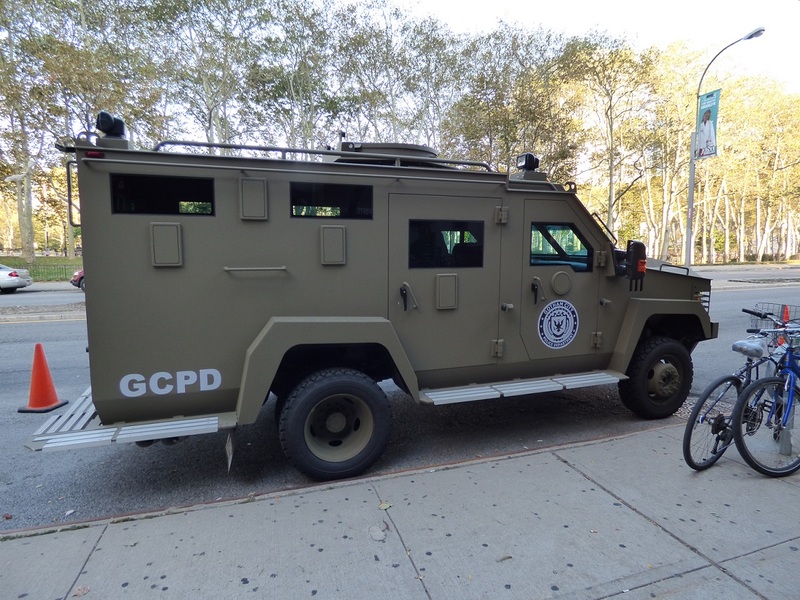 It took a village: "Customers, witnesses, the Brooklyn Heights Association (BHA) and and 84th Precinct all pulled together to apprehend the suspects," the Eagle said. Neighbors in the Joralemon Street area report a long string of similar incidents, starting when the park opened.